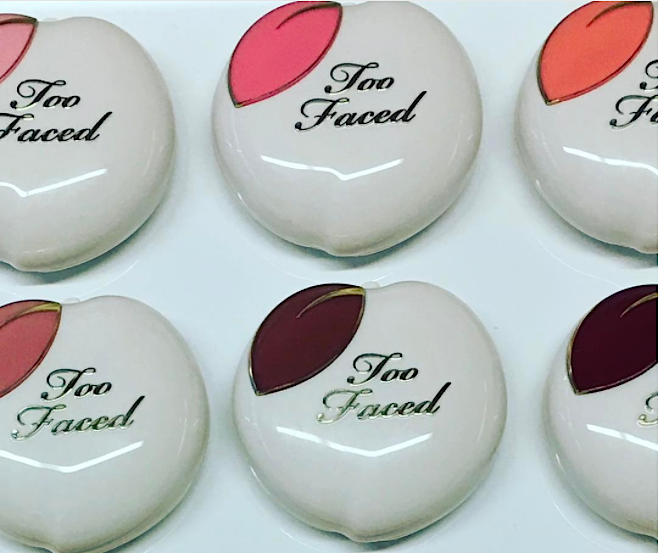 When Jerrod Blandino let the news drop that Too Faced was expanding the Sweet Peach collection, all of us makeup lovers started a countdown to the next time we drain our wallets in the pursuit of beauty. We’ve gotten yet another little look at what’s in the works for the new Sweet Peach products, and though we can’t be sure what it is, it looks positively peachy! Given the popularity of the Sweet Peach collection and how highly anticipated and coveted all of the items in the line are, it’s really not surprising that Too Faced would continue to add products to the peach-themed line. This latest look just couldn’t be creamier, and it has us wildly speculating as to what it might be! What are you thinking? He references a peaches ‘n cream complexion in the caption, so could it possibly be a foundation? It certainly looks silky smooth with just a hint of radiance, so that might just be the answer! Though just because it’s in liquid form now doesn’t necessarily mean it’s going to stay that way. It could literally turn into anything! A bronzer would also be appropriate and work within this formula, don’t you agree? We already know that there are some peach-inspired lipsticks headed our way — hopefully that’ll tide us over until we know for sure what else is to come! We can’t think of anything more delightful than a peach lipstick line. Think of the possibilities! It’d be so beautiful, fun, and carefree. It could encompass all orange-y tones from coral to neon to a soft pale peach. The real mystery is what these adorable, slightly retro-looking compacts are holding. Blushes? Highlighters? Shadows? They could literally be anything! We’ll just have to keep waiting for the little bits of information that Jerrod deigns to send our way. And you know that we’ll take whatever we can get! If you’ve got theories as to what’s coming, we’d love to hear them. Speculate away, darlings! In the meantime, we better start saving for this AND the berry collection we hope happens!